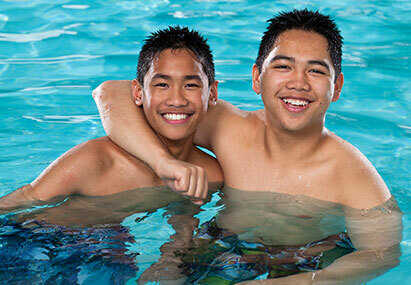 If you are between 13-18 years of age and looking to take swimming lessons, the Teen program is for you! Whether you have difficulty putting your face in water, swimming in deep water, or are simply looking for stroke correction, our Teen Swim Lessons will give you the confidence to enjoy being in and around the water. Your Instructor will take the time to learn more about your goals, which allows them to apply an individualized approach to their teaching methods and help you succeed. This program, its’ lessons, and its’ activities accommodate swimmers of various abilities so everyone can participate together regardless of their skill level.